Spain Charges Catalonia Leaders With Rebellion - Joe.My.God. The Spanish attorney general said on Monday that Carles Puigdemont, the former Catalan leader, and other top regional officials would be prosecuted for rebellion after illegally declaring independence from Spain. The attorney general, José Manuel Maza, stopped short of ordering the immediate arrest of Mr. Puigdemont and other separatist leaders in Catalonia, instead ordering them to appear in court in Madrid in the coming days. 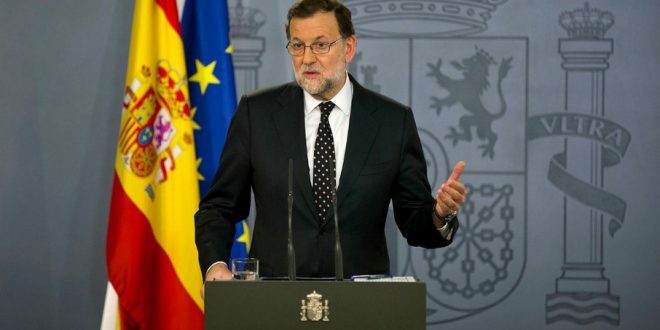 In a major escalation of Spain’s territorial conflict, the central government has taken charge of the region’s administration, with Prime Minister Mariano Rajoy invoking emergency constitutional powers to stifle the secessionist push in Catalonia.